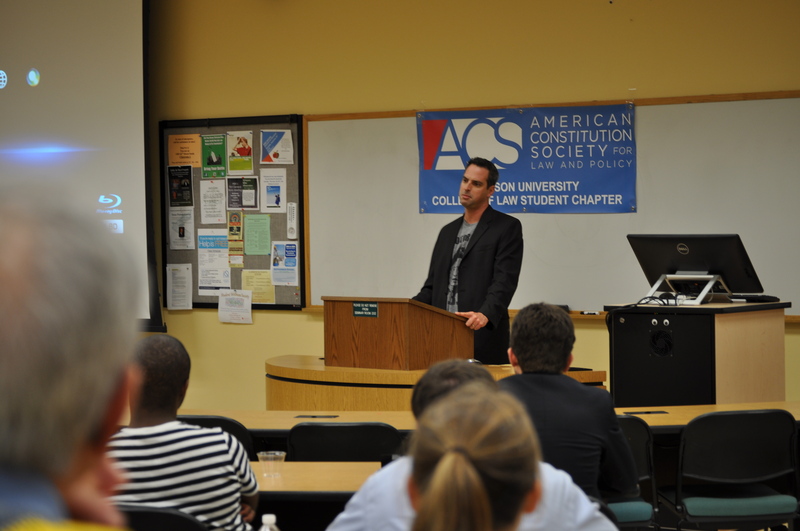 A talk with Los Angeles-based filmmaker John Wellington Ennis and showing of his new film “PAY 2 PLAY” brought a crowd of more than 70 law students and members of the public to Stetson University College of Law on Saturday night, Sept. 20. 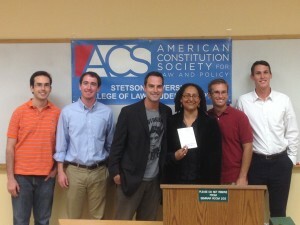 John Ennis spoke at Stetson on Sept. 20. Ennis answered questions from the audience on topics ranging from the impact of Supreme Court decisions in the U.S. to voter restrictions and the problem of money in politics. “It is an issue that is topical wherever you go,” said Ennis. Ennis explained that he hopes to show the film, scheduled to be released in November, on college campuses to fight complacency among young voters. Ennis’ film, which explores the historic problem of money in politics through the lens of the monopoly mindset, features interviews with professors, politicians, journalists and street artists. “PAY 2 PLAY” includes interviews with academic and political commentator Noam Chomsky, military veteran and congressional candidate Paul Hackett, journalist John Nichols, political street artist Alec Monopoly, as well as an interview with Stetson University constitutional and election law professor Ciara Torres-Spelliscy. Stetson Law’s student chapter of the American Constitution Society helped bring the event with the filmmaker to the Gulfport campus.